Medical Humanities presents the international conversation around medicine and its engagement with the humanities and arts, social sciences, health policy, medical education, patient experience and the public at large. Led by Dr Brandy Schillace, the journal publishes scholarly and critical articles on a broad range of topics. These include history of medicine, cultures of medicine, disability studies, gender and the body, communities in crisis, bioethics, and public health. 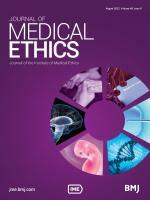 Medical Humanities is an official journal of the Institute of Medical Ethics. For 2019, we expand our focus through global outreach. Medical Humanities supports conversation among the broad #healthums community, from Europe and America, to the Global South, the Middle East, Asia and beyond. Find out why in this short video with the journal’s Editor, Dr Brandy Schillace. Join us at the journal's website for critical articles, at the blog for innovative presentations and posts, and at our newly re-launched monthly podcast for current events. 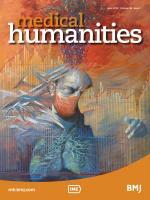 Medical Humanities accepts submissions of a wide range of article types, including Original Reports, Review Essays and Current Controversies. The Author Information section provides specific article requirements to help you turn your research into an article suitable for MH.